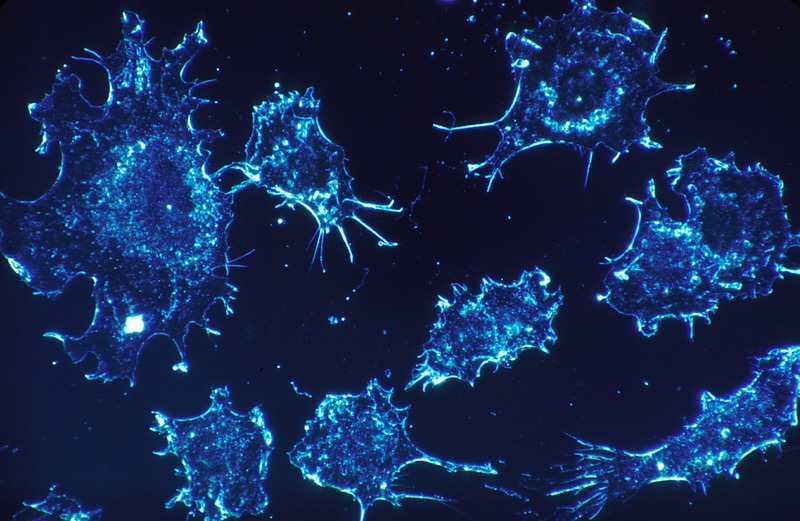 Cancer is a fatal disease, but what makes it more alarming is how prevalent it is. For this year, estimates show that there will be 1,658,370 new cases of cancer in the United States, and 589,430 will die from the disease. Moreover, statistics also reveal that 50% of men and about 30% of women in the United States will incur cancer in their lifetimes. Years ago, cancer was harder to battle. But with the advent of technology and medical breakthroughs, cancer survival is now more possible than ever, especially if the disease was detected and treated at an early stage. In fact, nearly 14.5 million people in the United States have had a form of cancer. Some of them are already cancer-free, while others are still in an on-going battle against the disease. While there are numerous treatment options available for cancer, no one would actually want to end up in a doctor’s office discussing them due to a cancer diagnosis. Just like any disease, the best way to fight cancer is to avoid its causes. Unfortunately, there’s no concrete evidence as to the exact causes of most cancers. Yes, cancer is brought about by cell changes but there’s still no clear information as to how it all takes place. To date, scientists and experts are still conducting research and studies to learn more about how cancers form and grow. Likewise, there’s still no known definite way to prevent cancer. But that’s no reason to fret because there are ways to reduce your cancer risk. Below are seven factors you can take a look at, evaluate alongside your lifestyle, and avoid in order to lower your chances of getting cancer. Poor diet and lack of physical activity are two lifestyle factors that are linked to cancer risks. In facts, statistics show one-third of the 589,430 cancer deaths each year are related to poor diet, physical inactivity, and excess weight. Health habits are one of those cancer risk factors that you can easily control. In fact, doing so is very practical and only requires you to make healthy choices each day. You can begin with choosing a healthy diet. Although it’s more convenient, veer away from processed foods that are rich in preservatives. Start stocking up your pantry with fresh produce such as vegetables, fruits, meat, and fish. Make it a point to cook your own meals instead of relying on ready-made fares. Home-cooked meals are not only healthier, but they are also cost-effective and budget friendly. More so, it’s also advisable to keep your sugar and alcohol intake to a minimum. Maintaining a healthy weight can also lessen your chances of getting cancer. Exercise regularly and keep your body moving. If it’s hard for you to get on a workout routine, find a group in your community to make working out more enjoyable and less arduous for you. Aside from inactivity and poor diet, smoking is also a risk factor to cancer. In fact, it is related to about 30% of cancer deaths in the United States, including 80% of deaths resulting to lung cancer. Smoking can also lead to cancers of the mouth, larynx, pharynx, esophagus, kidney, cervix, liver, bladder, pancreas, stomach, colon, and myeloid leukemia. What makes smoking so dangerous is that it doesn’t only affect smokers, it can also cause harm to people around them. In fact, people who are exposed to secondhand smoke can also have an increased risk to cancer and other diseases. If you’re a smoker, it’s best to quit the habit as early as you can. This will not just make a healthier you, but it will also promote a more conducive environment for the people around you. 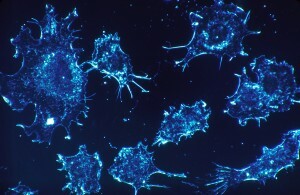 Cancer risk increases with age. Statistics show that 78% of cancer cases are detected among individuals who are 55 years old and above. More so, some cancers take time to develop, especially if they are inherited or linked genetically. As a result, the disease will only begin to manifest at a later time, typically when a person is older. Unlike health habits, growing older is not something we can control. However, what bears more weight is typically not your age, but what lifestyle choices you made in all those years and if there are genes that you inherited from your parents that can lead to cancer. The body’s immune system acts as its line of defense against diseases. But if you have an existing condition, it gets compromised and you are at a higher risk of getting cancer. More so, the cells in a weak immune system will have to divide more frequently, which increases the chances of mutation. Cancer can also be inherited. Statistics show that 5 to 10 percent of cancer cases are associated with genes that are inherited from parents. Cancer is a very common disease and it’s possible that several members of the family may have it. It happens because of two reasons. First, there are similar risk factors among family members such as smoking or obesity. Second, it can be due to an inherited abnormal gene that can lead to cancer. Genetic testing is now available, and you can consider going for it if a particular type of cancer seems to run in your family. However, this procedure is not recommended for everyone. Before you decide to undergo this test, make sure that you discuss it with your doctor to ensure that you situation really calls for it. Radiation is commonly associated with x-rays, gamma, and other form of equipment. But in reality, radiation comes from different sources, and we are actually exposed to them on a day-to-day basis. Radiation may come from natural sources and man-made objects such as x-ray and medical equipment. If you are exposed to an amount of radiation that goes beyond the normal or safe level, you may have an increased risk of cancer. If your job or lifestyle entails you to be constantly exposed to radiation, discuss with your doctor about its possible effects on your cancer risk, and find ways on how you can lessen its impact. Too much exposure to the sun and UV rays can increase your chances of getting cancer. If you spend too much time under the sun without proper protection or lying on tanning beds, you are increasing your risk of skin cancer. Having some fun under the sun is not a bad thing, but you need to protect yourself against its harmful rays. Apply sunblock on your skin and wear protective clothing as much as possible each time you participate in water sports, sunbathe, or step out on a sunny day. Cancers can also be caused by other environmental factors found in the home and workplace. Substances such as radon, lead, and arsenic found in the home as well as asbestos, benzene, and formaldehyde typically found in the workplace can possibly increase your risk to cancer. Pollution can also be harmful to a person’s health, and exposure to it can also increase a person’s chances of getting the disease. Meanwhile, other medical treatments can also be risk factors to cancer. Procedures such as chemotherapy and radiation therapy can pave the way for a second type of cancer for some patients. The battle against cancer shouldn’t only begin when you are diagnosed. It should start today, even if the disease doesn’t affect you or any of your loved ones. Proper education is key, and it involves being aware of cancer risk factors so that you can lessen your chances of getting the disease.